VA and FHA Loans are the only two mortgage loan programs that allow manual underwriting. 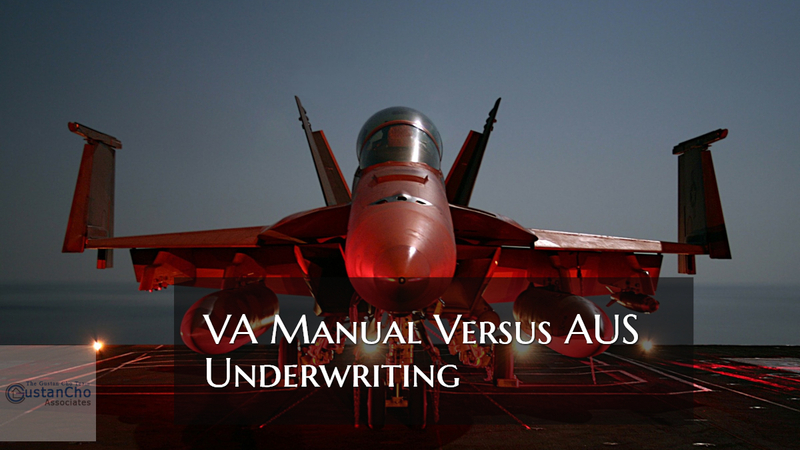 In this blog, we will discuss VA Manual Versus AUS Underwriting For Borrowers On VA Home Loans. Other times when a VA Manual Versus AUS Underwriting is required is when borrowers with lower credit scores have outstanding credit disputes. Credit disputes during the mortgage process are not allowed. Credit disputes automatically discount the negative credit scoring formula. Therefore, when a consumer disputes a negative derogatory credit tradeline, their credit scores will go up. However, if consumers retract credit disputes, the opposite effect takes place. Retracting credit disputes will drop consumer credit scores. Borrowers with lower credit scores and active credit disputes may want to downgrade their file to a manual underwrite if they do not want to retract credit disputes. Home buyers can qualify for VA Loans during a Chapter 13 Bankruptcy repayment plan via manual underwriting. There is no waiting period after Chapter 13 Bankruptcy discharge date with a manual underwrite. Any bankruptcies during a repayment plan or that has not been seasoned for at least two years from a discharged date needs to be manually underwritten. Not all lenders offer manual underwriting. Borrowers who need to qualify for VA Loans via manual underwriting with an aggressive direct lender with no overlays on government and/or conventional loans, please contact us at Gustan Cho Associates at 262-716-8151 or text us for faster response. Or email us at gcho@loancabin.com. We are available 7 days a week, evenings, weekends, and holidays.